The group marched to the State House denouncing the Supreme Court’s landmark 1973 Roe v. Wade decision, which legalized abortion in the United States. 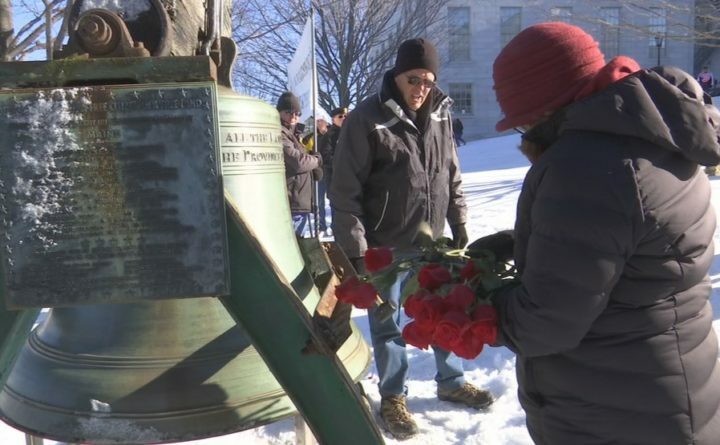 The rally organizer said the anti-abortion movement is growing across Maine. The Maine Right to Life Committee invited politicians, worship leaders and others to discuss the problems they have with abortion. “We’re winning hearts to the case of life because when people see a sonogram they see a baby,” said Sen. Stacey Guerin, R-Glenburn. The group placed roses in front of the State House showing the years that have passed since Roe v. Wade. Supporters say rain or shine, hot or cold, they will continue to rally against abortion. “This issue is not going to go away and that’s why we stand out here today because it must be ended,” Christopher Coughlan said. Correction: An earlier version of this report incorrectly identified Sen. Stacey Guerin as a state representative.